Do you want to excel as a business presenter or become a top-calibre, well-paid speaker? 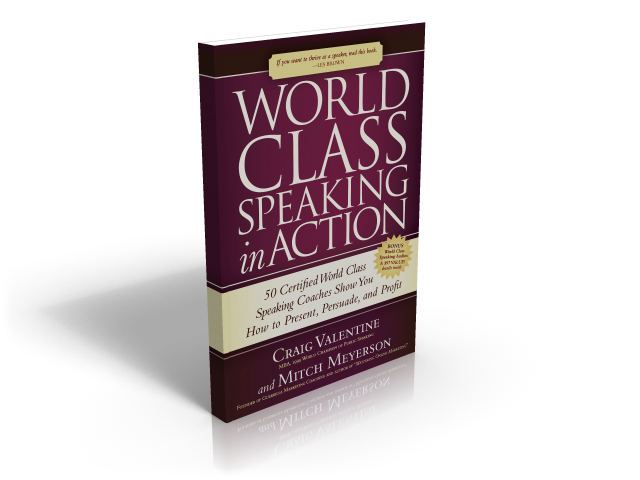 The public speaking tips, tools and techniques in this book are tried-and-true, taught to me by successful world class speakers, including Craig Valentine MBA (1999 World Champion of Public Speaking). I’ve put them to the test over the last decade-and-a-half in my instruction of presentation skills, public speaking coaching, and in my keynote addresses. Improving your presentation skills will help you get what you want in negotiations, close more deals successfully, and persuade your colleagues and bosses. If it’s a career as a professional speaker you have your eyes set on, this book will give you an edge over the others in your position, as well as the tools you’ll need to keep improving and expanding your own boundaries as your speaking career takes off. how to breathe life into your speeches. — CRAIG VALENTINE, World Champion of Public Speaking, 1999. 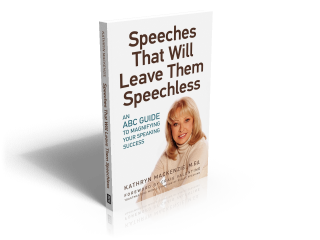 Speeches That Will Leave Them Speechless is also available as a PDF e-book ($11.99 CAD), and as an audiobook — both mp3 audiobook ($14.95), and 3-CD-set audiobook ($29.50 CAD) — so you can listen on the move. World Class Speaking in Action, Amazon #1 Best Seller. 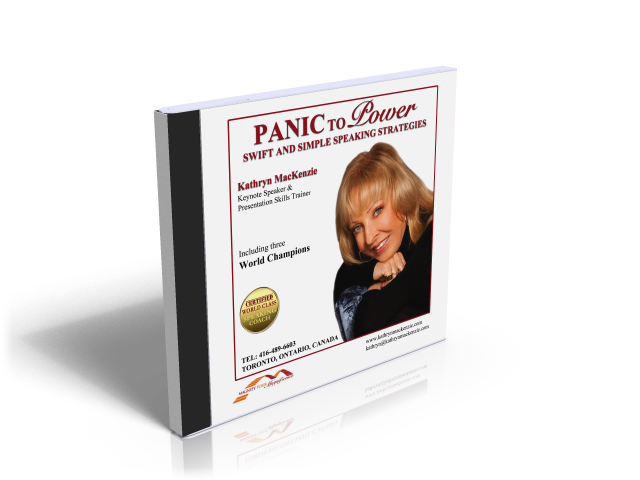 Kathryn MacKenzie, contributing author with 49 World Class Speaking Coaches show you How to Present, Persuade, and Profit. What if you could turn your fear into power? Would that increase your confidence? 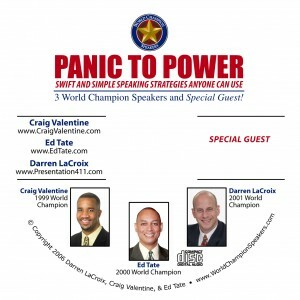 Let three World Champion Speakers (Craig Valentine (’99), Ed Tate (’00), and Darren LaCroix (’01)), along with special guest Kathryn MacKenzie, teach you how to overcome your fear as they share stories of how they pushed through their own fear, transforming panic to power on the platform. Just $19.50 CAD, and shipping is free.